WhatsApp Messenger is a widely used messaging platform. People communicate with WhatsApp for their essential task every day. Thus, it becomes important to keep the chats and media files intact. For this, the users have the WhatsApp backup & restore feature. It not only allows the users to create a backup but also allows the users to restore the data backup anytime they like. So, in this article, we will learn a little more on how to backup WhatsApp on iOS and Android device, and also have to backup WhatsApp to computer. 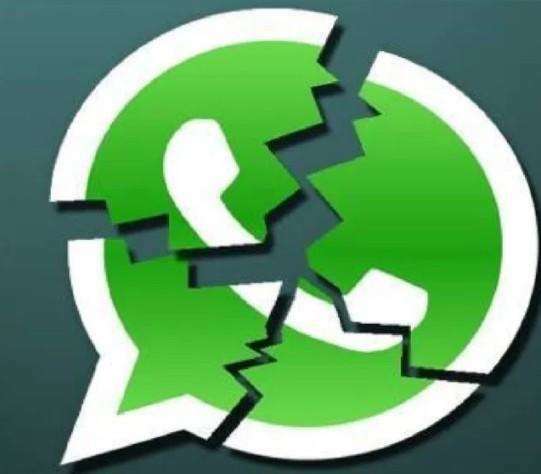 Moreover, we will learn more about how to restore WhatsApp backup. For iPhone and Android phones, the method to backup WhatsApp data is quite different. You will have to follow a particular method to backup the data. Step 1: Go to the Settings app and select the iCloud option and scroll down to get to the iCloud Drive and ensure that it is turned on. The list of available apps will be listed on the screen. You have to select the WhatsApp option and turn it on by toggling it. Step 2: Now launch WhatsApp app and get to the Settings. Click on the Chats option and you will see the Chat Backup option. Click on the option and in the next screen; you will see the Backup Now option. This will back up the app data instantly and you can also activate the Auto Backup option. >> More methods to backup WhatsApp on iOS. Step 1: Launch the app and open settings. In the Settings, click on the Chats option and click on the Chat Backup. Step 2: As you click on the Chat Backup option, tap on Account and enter your Google Account details. Then tap on the Backup to Drive option and allow Google Drive to create a backup of the data whenever you like. It is recommended to stay connected to the Wi-Fi to back up the device data along with WhatsApp. You will have the images, music files, documents and all other data that you shared via WhatsApp. >> More methods to backup WhatsApp on Android. Step 1: Begin with uninstalling the app from your device. Then open the respective app store of the device and install WhatsApp on your device. Step 2: When the app is installed, tap on the icon to launch it. Register on the app with the same old number and verify your number. Step 3: Then while you are setting up the app click on the Restore from Backup option and wait while the backup is restored. With the backup file, the data will be entirely restored on the device. 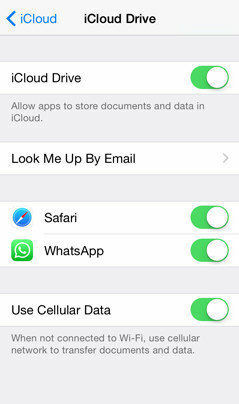 Another way to restore WhatsApp data from iCloud is by using UltData –iOS Data Recovery. Read more on how to restore WhatsApp chats from iCloud. Keeping the backup of the device on phone is entirely viable. Yet, you must also know how to backup WhatsApp to computer. For this, we have free iOS backup tool iCareFone that can be used for WhatsApp backup & restore. This app is capable of creating a desktop backup of various type of data stored in iPhone. The backup feature is entirely free and you also get a chance to perform selective backup too. Hence, you can backup WhatsaApp as well as other types of data on to computer easily. Follow the steps below to perform a backup first and then restore it whenever you want. 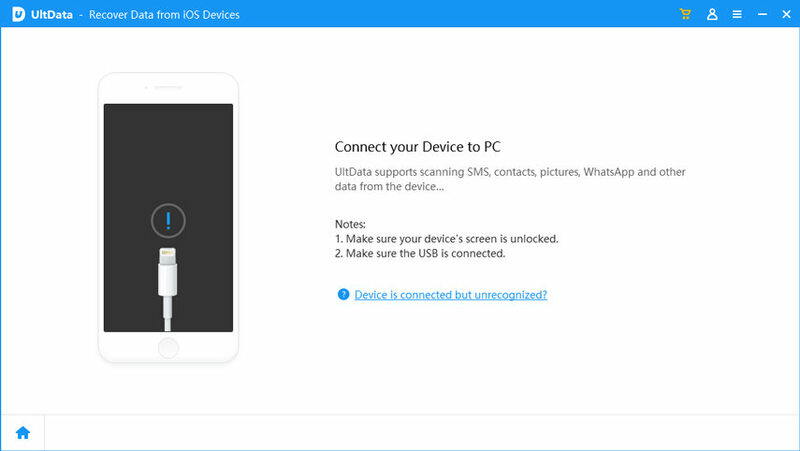 Step 1: After you've installed the app on the device, run it and connect your iOS device with the system. Once the connection is established switch to the Backup and Restore tab. Step 2: All the data that can be backed up using the software will be displayed on the screen. You can tick the data that you want to back up and then click on the Backup option at the bottom of the screen. Wait for some time as the backup is done. Step 1: To restore the backup file, you will need to close the software and re-launch it. Again switch to Backup and Restore tab and all the backup files will be listed. Step 2: Select any file that you want to keep and all the data that is backed up in the file will be displayed on the screen. You can have a preview of the files and restore the data by clicking on the Restore or Export option. All the data that you had in Backup will be restored within a few moments. Hopefully, now you know how important it is to backup WhatsApp on iPhone and Android devices. This will not only protect your data but also provides you access to old media files. Apart from the built-in backup method, you can also backup your WhatsApp chats and other data with iCareFone in a much more flexible way.